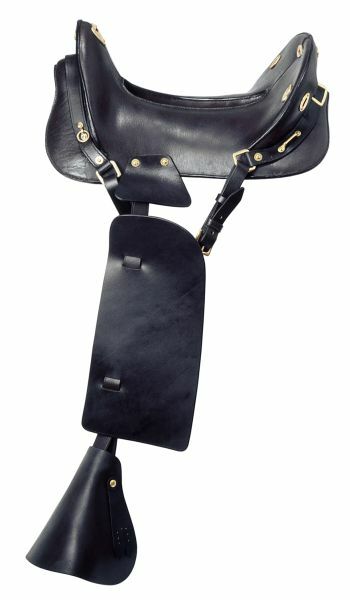 Grained leather, medium seat close contact jumping saddle. Well balanced. This traditional looking McClelland saddle,utilizes the Cynron FlexTree - The length, width, & points of this tree flex and conform around the horse’s shoulders and back with girthing and the rider’s weight. Adult medium size. Choose black or dark brown.